I’ve said it before and I’ll say it again: To us, Buenos Aires feels a lot like home. It’s not just that we rented an apartment, though that has certainly helped. 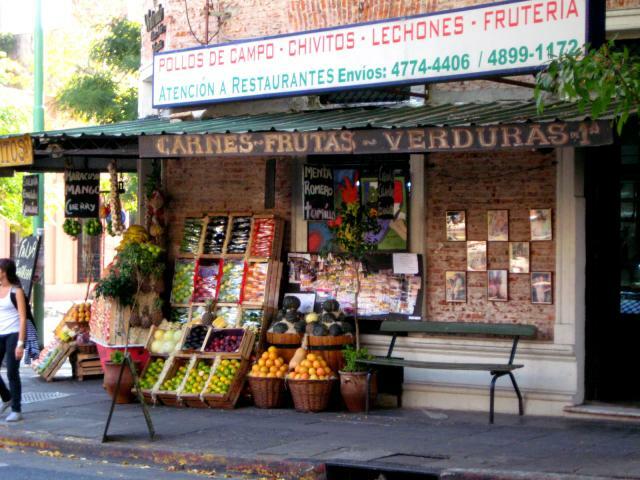 It’s also that Buenos Aires often seems to us like a combination of some of the best parts of a few of the American cities that we love so much. One of the only differences between the Soho in Buenos Aires and the one in NYC is that BAers don’t capitalize the H in their version. But the Argentine neighborhood has the same expensive boutiques and trendy cafes, the same small dogs and the same well-dressed women as its northern cousin. Like Baltimore, Buenos Aires recently refurbished the area around its harbor, adding lots of loft apartments and upscale restaurants. 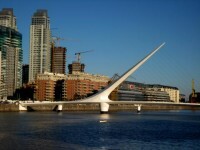 Puerto Madero now feels a lot like Baltimore’s Inner Harbor. 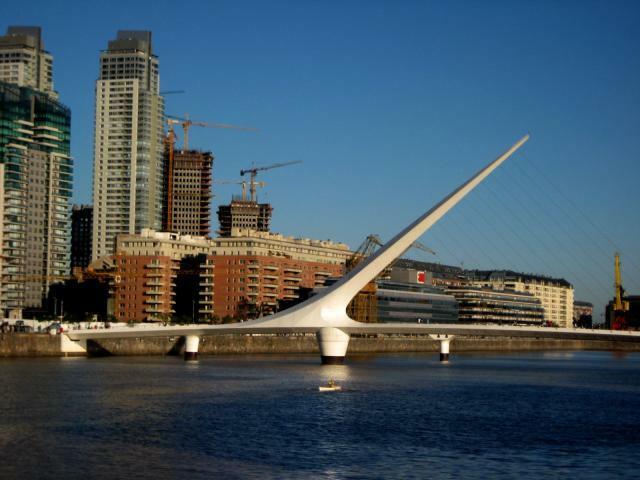 And, like so many American cities, Buenos Aires is dotted with green spaces, public squares and world-class museums, our favorite of which was the MALBA, BA’s modern art museum. 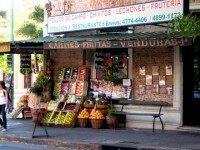 Buenos Aires also has a flavor all its own. Locals and tourists alike visit the Museo Eva Peron, a museum created to “spread the life, work and ideology” of Eva Duarte de Peron (known to most as, simply, “Evita”). Argentina’s most beloved first lady, Evita was only 33 years old when she died of cancer in 1952. 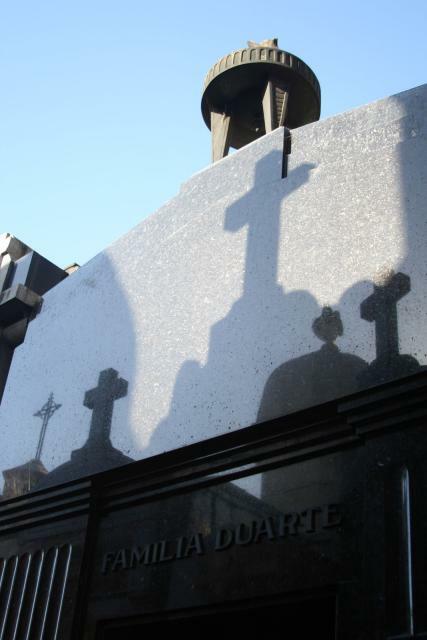 In the Recoleta Cemetery, groups of schoolchildren pause in front of Evita’s grave before continuing on to inspect the luxurious burial sites of the rest of the city’s richest and most powerful. And, of course, tango is everywhere. 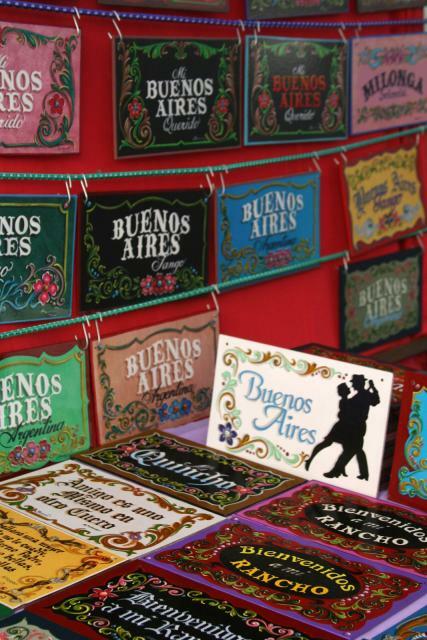 It’s at the Sunday street fair in San Telmo, where dancers perform alongside craft booths and empanada vendors. It’s danced for tourists at fancy hotels and by locals in late-night clubs. Walking the streets of Buenos Aires, taking in the familiar and the novel, it’s easy to forget about Argentina’s very messy, very recent history. Some of the most dramatic moments in Argentine history began after military man Juan Domingo Peron, Evita’s husband, won the presidency in 1946 and then again in 1952. Worshipped by some and loathed by others, he used his power to raise wages and pensions, to improve working conditions and to guarantee job security. He also expanded the country’s bureaucracy and splurged on unsustainable public works projects that squandered Argentina’s post-World War II surpluses. After being overthrown in 1955, the widower retreated to Spain, where he eventually married an exotic dancer. Dictators ruled Argentina in the years that followed Juan Peron’s departure, punctuated by periods of civilian rule and a particularly ridiculous time that saw the exotic dancer herself ascend to the presidency. Not surprisingly, the dancer was ultimately overthrown, after which the military took over and Argentina’s political situation took a turn for the worse. What’s more, in 2002, in the midst of a country-wide economic crisis, the Argentine peso lost almost 75% of its value virtually overnight. All those with money in the bank saw their savings evaporate before their eyes. 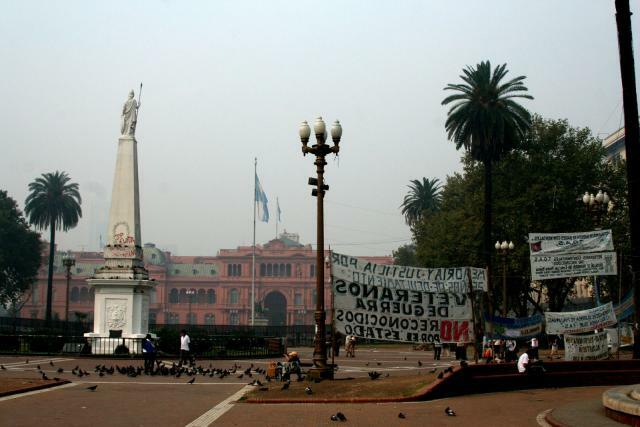 The economy sunk into a Great Depression-like stagnation; unemployment and homelessness rose and strikes and picket lines became a popular way for Argentineans to express their frustrations with their government’s shortfalls.